VASER Liposuction is the latest body contouring revolution within the cosmetic surgery profession. Its principle, the Vibration Amplification of Sound Energy at Resonance is a nominally invasive application utilises ultrasound technology to break down fat cells, which in turn contour and shape the body. VASER is performed under local anaesthetic, which means that overnight stays in hospital are generally not required. VASER (Vibration Amplification of Sound Energy at Resonance) is a unique and nominally invasive fat elimination and body sculpting procedure. The indispensable point about VASER in comparison to more traditional techniques is that the body can be specifically and accurately sculpted in localised regions without the need for extensive exercise, dieting or post-operative downtime. This type of liposuction is unique due to its identification with Ultrasound Liposculpture. VASER harnesses the current advancements in ultrasound technology to decompose the fat cells which are then extracted from the body through a specialist extraction method making it an effective solution for localised fat removal throughout the body, for men and women.Thanks to the technology of ultrasound resonance and its ability to exclusively identify fat cells, surrounding tissues and un-treated muscle areas remain undamaged and unaffected marking VASER as the most effective minimally invasive option for eliminating redundant fat deposits to exhibit a sculpted and defined body. What Areas Of My Body Are Suitable For VASER Liposculpture? Quite simply, any area in your body can be treated using this technology. As can be identified from the diagram, typical areas of excessive fat deposits can be identified around the thighs, stomach, buttocks, arms, neck and in the case of men, the chest area (gynecomastia). Certain zones of the body are more susceptible to act as fat reservoirs, which can make them resilient to efforts from diet and exercise regimes. For normal, healthy people, these regions can give the impression of being ´out of shape´ due to the lack of toning as it can be problematic to attain an evenly unified athletic presence within the body, despite exercise, diet and the best of intentions. 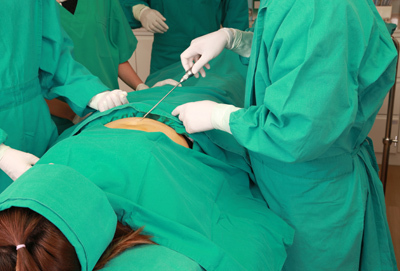 VASER Liposuction is a nominally invasive practice which is observed under local anaesthetic. A narrow probe is utilised to transmit the ultrasound energy which cause the fat cells to disintegrate prior to being extracted by the external suction technique, making it a gentler and less invasive option than its traditional counterpart. Due to current advancements in the field of ultrasound liposuction, several distinctions can be identified to allow for more precise results. VASER Hi-definition and VASER 4D Liposculpture are common procedures for males who are wishing to acquire an athletic, toned body with defined muscles. Other specialist variations of VASER can see areas such as the legs and arms addressed to allow a more uniform circumference. After experiencing VASER liposuction, patients will notice an overall improvement in the shape, proportion and contours of the treated areas within the body. The standard VASER results will leave patients with natural looking and subtle results. 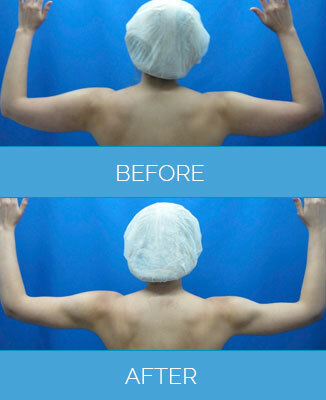 A notably more sculpted, toned appearance can be achieved with the VASER Hi-Definition option. For many patients, the results will be visible straight away. Over several months following the procedure, an improved overall result of the key areas treated will become apparent. VASER liposuction can greatly assist in the removal of stubborn fat deposits, but cannot eliminate more excessive amounts of protuberant skin, where abdominoplasty will provide a better result. As VASER liposuction is nominally invasive, patients will enjoy minimal downtime, enabling them to return home and back to their daily routine almost immediately (depending on the areas treated and the amount of fat extraction). Any small incisions made to the skin to allow the VASER probe to extract fat will not require stitches. In the event of some minor swelling and bruising, all patients are advised to refrain from any rigorous physical activity such as heavy lifting or gym attendance for several weeks. Recovery can be speeded up by taking a course of massage after the treatment. For patients who have undertaken VASER Hi-Definition and VASER Mid-Definition, then it is important to observe an aftercare regime. An information pack will be provided to you during pre-treatment consultations with your designated surgeon. The application of VASER Liposuction does not require a general anaesthetic. VASER Liposuction is a same day procedure with minimal downtime and discomfort. The procedure is nominally invasive and will cause no damage to other body muscles or tissues. VASER presents a minimal risk of bleeding and traditional side effects of bruising and discomfort. The ultrasound resonance waves produced by VASER can stimulate collagen production which results in tighter, more uniform skin being achieved. While traditional, conventional fat extraction may result in looser, excess skin. 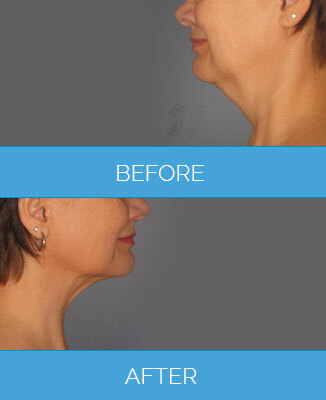 Nu Cosmetic clinics is leading the way in referring patients for the revered VASER technique. We liaise with a team of leading, established industry professionals who work alongside their quality commitment charter and their patient’s exact criteria to produce a highly customised and effective end result.Every year, hundreds of these potent body contouring procedures are performed in London and all around the United Kingdom by the industry professionals who we refer you to. Their award winning team features top specialists such as Doctor Riaan Vlok, who performs ground breaking enhancements using the science of medicine and the art of sculpting with VASER 4D, VASER Hi-Definition and VASER Mid-Definition to achieve the ultimate in natural body tone and proportion. As each patient has contrasting requirements and body types, every consultation with the industry professionals Nu Cosmetic Clinic refer you to is carefully and exactly composed to ensure the procedure leaves them with the exact proportion and results they desire; from subtle feminine curvation to defined, masculine abdominals, the technology of VASER with has the the capacity to transform each and every body type for a leaner, more defined ´Nu You´. Why choose Nu cosmetic Clinic ? Yes, the results are permanent. However, you can still gain weight in the treated areas so we advise you keep fit and keep to a healthy weight following your procedure to maintain the effects. What areas of the body can be treated by VASER? Essentially, all areas of the body can be treated with VASER. We have experienced the best results when VASER is used on the thighs, abdomen, flanks, arms, love handles, male breast, neck and chin areas. Will VASER help me lose weight? VASER is not a weight loss treatment; it will help you sculpt your body into a more desirable shape and to shift stubborn areas of fat, however weight loss post-procedure will be minimal. What about loose skin following VASER? The VASER method helps to tone skin as well as removing fat. However, if large amounts of fat are removed from one area, or if you had substantial skin laxity/ stretching prior to the procedure, you may need to investigate skin tightening procedures. We recommend that people take up to a week off work following the procedure (more if your job is particularly physical). Strenuous activities, heavy lifting and intense exercise should be avoided for about 6 weeks after your surgery. Yes, there are alternatives to vaser lipo, including advanced laser lipo and traditional liposuction. You can discuss these options with your surgeon at your free consultation. Marie underwent Vaser Lipo at Nu Cosmetic Clinic. She talks about why she decided to go for surgery and what impact the surgery had in her personal life. She talks about her interactions with the Patient Coordinator and Surgeon. She gives a detailed account of her experience at Nu Cosmetic Clinic beginning with her free consultation, followed by the surgery and finally the aftercare received. Any form of cosmetic enhancement is very personal, so prices are bespoke dependent on your individual needs. As a rough guide, you can expect to pay from £1990 onwards.